Here's to fresh bouquets, lemon water and morning walks. With my hectic college schedule and impromptu activities, one element of my day that says consistent is the clothes I tend to wear. It truly is a reflection of my mood but I tend to feel most confident and comfortable in my favorite basics. 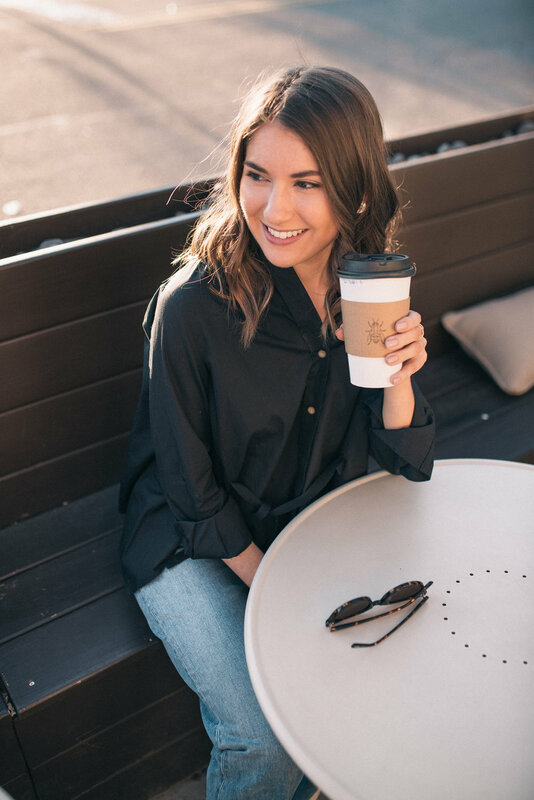 These basics go beyond a classic t-shirt and jeans, but rather a crisp blouse, comfortable pair of jeans and simple flat. I’ve always been a fan of classic loafers and mules. These days you can find chic options that go beyond the iconic Gucci loafers. I opted for a pair from Sam Edelman, with it’s woven design and white color they are on trend and breathable for the spring and summer months. They have been my shoe of choice for the past week. Later skinny jeans, hello wide-leg and cigarette style denim. Don’t get me wrong, I love a good pair of skinny jeans. As the weather gets warmer however, it’s the best thing in the world to not have a thick pair of skinny jeans glued to your skin. 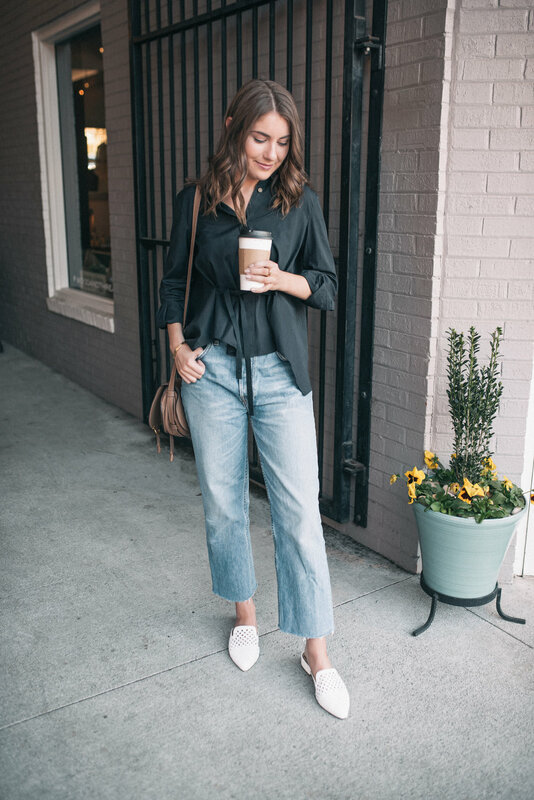 In the fall I picked up a versatile pair of jeans from Reformation that have a great boyfriend fit. I cropped them above the ankle to create a raw hem (also, they were a bit too long for my height). I’m still on the search for the perfect distressed pair. Big thank you to Courtney Paige Photography!